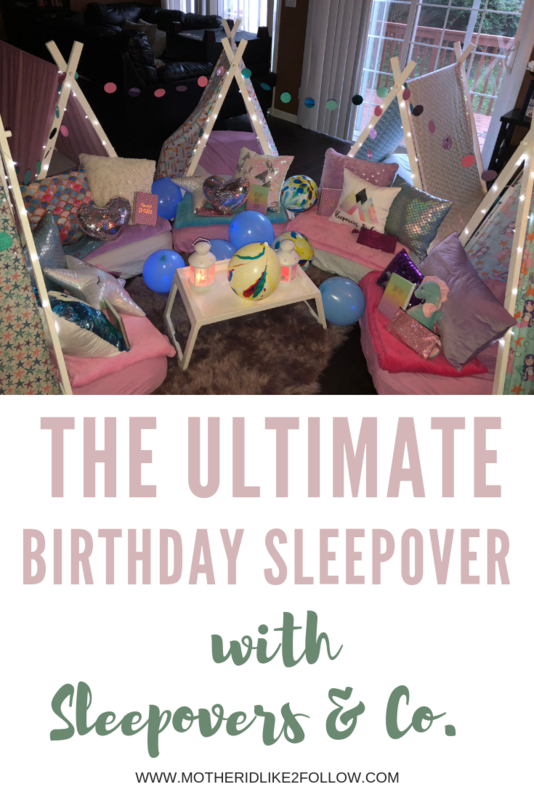 The Ultimate Birthday Sleepover with Sleepovers & Co. If you know me then you know I absolutely love celebrating my kids’ birthdays. I’ve always made them a big deal and both of my kids have had a party for every single birthday. Birthdays are bigger than the holidays around here! 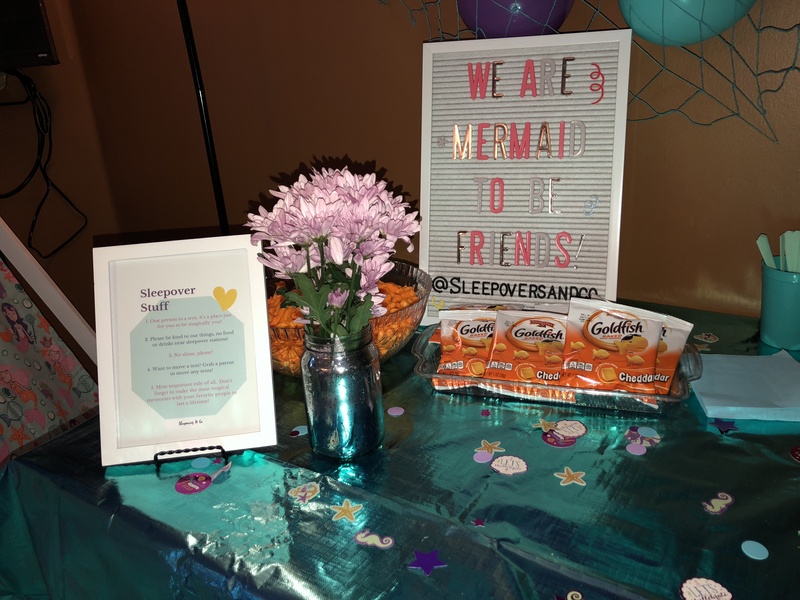 Last year, Autumn had a chef inspired party but this year she requested a mermaid themed sleepover with her besties. 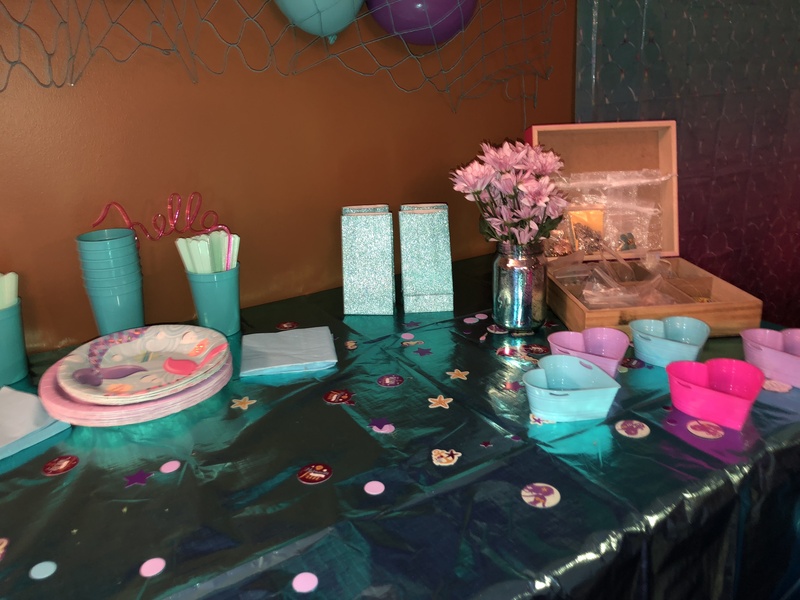 The mere thought of planning and entertaining a group of girls overnight gave me anxiety (I did that for her 7th birthday and it was the most stressful thing ever). After that experience, I learned that while I love throwing parties, I’d much rather hire someone to plan the entire thing. Not only is it less exhausting, but then I actually get to enjoy the party instead of worrying if everything is going smoothly. 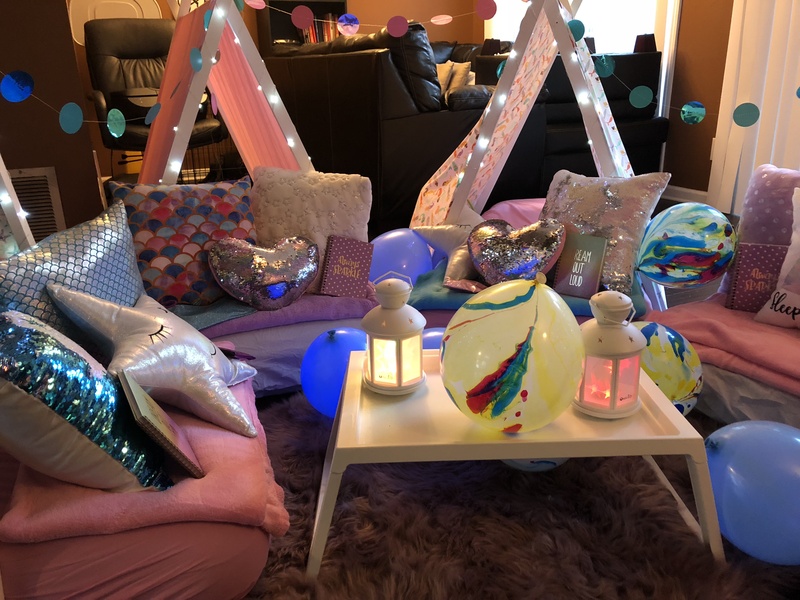 So, you can imagine my excitement when I found Sleepovers & Co., an Atlanta based pop-up sleepover company. I’m a huge fan of supporting local businesses and let me tell you – they didn’t disappoint. I can say that this was BY FAR the best birthday party Autumn’s ever had. Here are 5 reasons why you need to book your child’s next sleepover with Sleepovers & Co. This is a sponsored post, but all thoughts and opinions are my own. 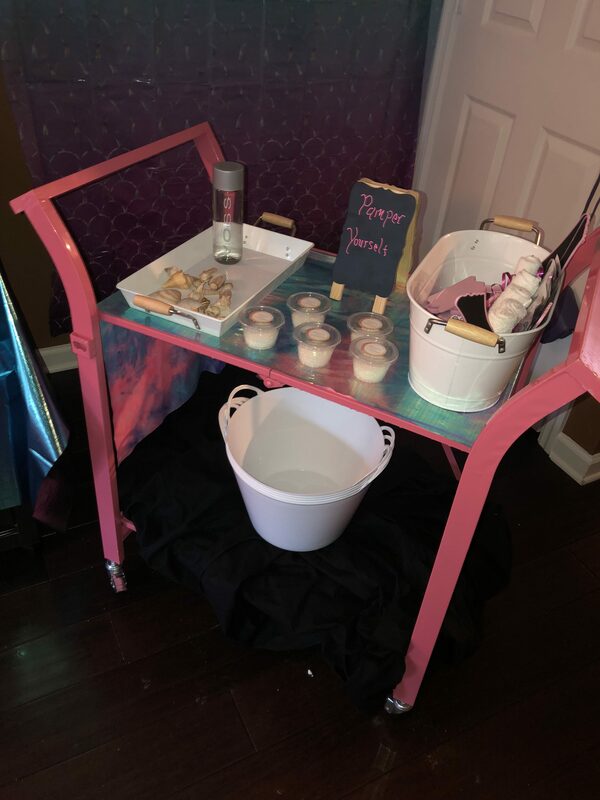 I would never recommend a product or service that I haven’t used myself and loved! Mandi, the owner, was so amazing to work with! She responded almost immediately when I reached out to her and kept the communication going from booking all the way to the day after the party. 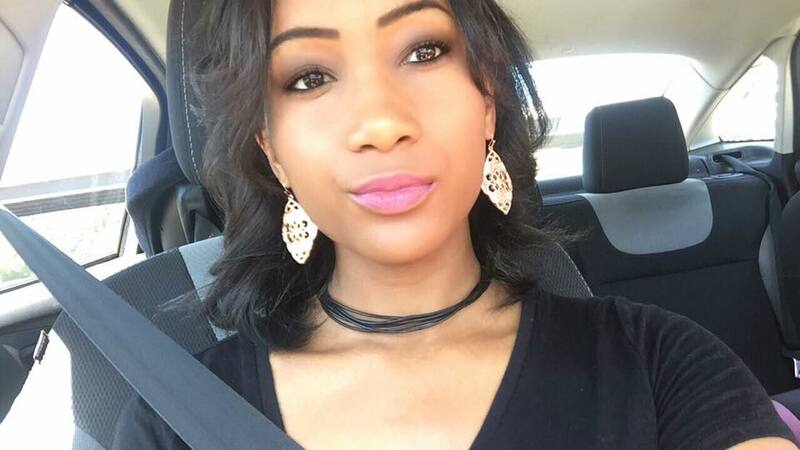 She is super professional, friendly and truly cares about making your event memorable and special. If you’ve ever planned a party, then you know how exhausting and time-consuming it can be! Sleepovers & Co. makes the entire experience so seamless. 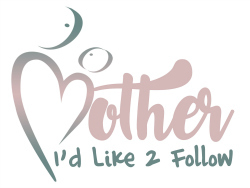 They literally think of everything from décor, activities, supplies, & even party favors! All I had to do was provide the kids & a open space for them to work their magic! Sleepovers & Co. team came in the day of the party to set up and came back the next day to take everything down. I can’t tell you what a relief it was to not have to lift a finger! 4. It’s the CUTEST thing ever! 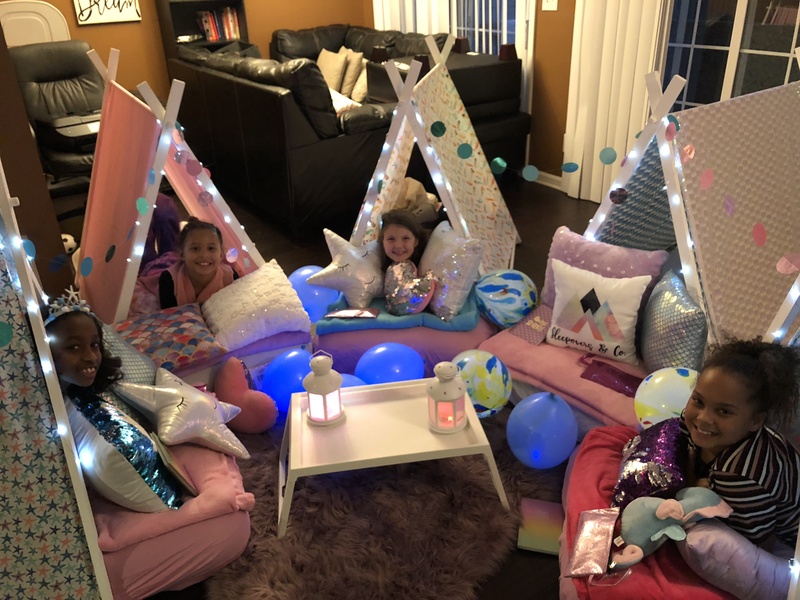 From the teepees to the lanterns, to the balloons, pillows, and spa cart… everything about this sleepover was so adorable. I couldn’t have done half of this myself. My daughter and her friends were so pleased and are still raving about it! The sleepovers are completely customizable. They can design and style pretty much ANY theme of your choice. 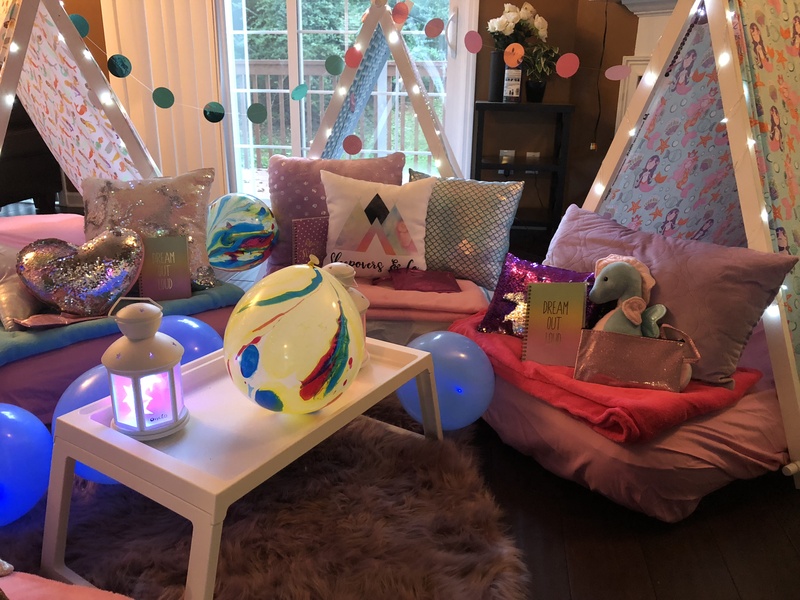 We went with a mermaid theme, but they can do unicorn, emoji, LOL Surprise, etc. They also have a ton of activities and add-ons to choose from that keep the guests entertained all night. 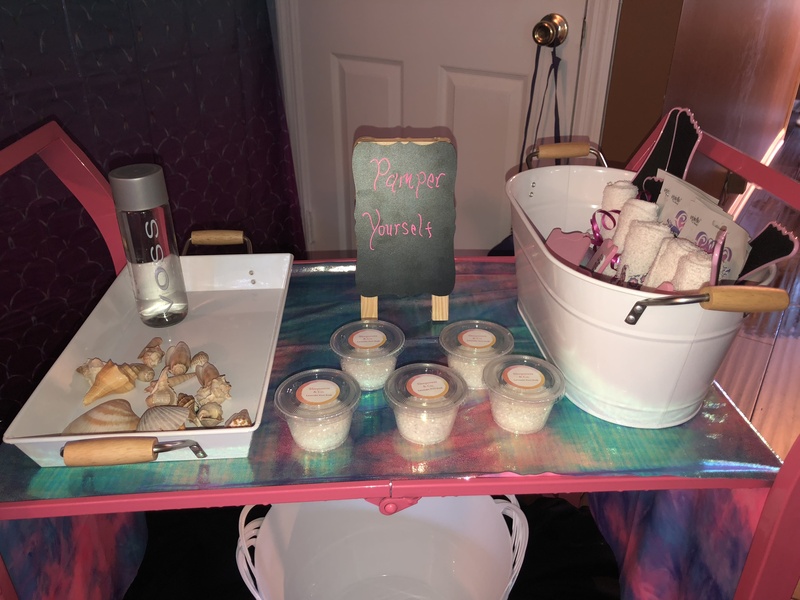 Autumn went with pamper my party (comes with a foot soak, face mask, and bath bomb) and making friendship bracelets but they have so many other fun options – it was actually hard for us to choose. I really can’t say enough good things about Sleepover & Co. I am so thankful I found them and 100% recommend them to anyone in the Atlanta area. It was an absolutely amazing experience and I know it’ll be a birthday my daughter and her friends will remember and talk about for a long time. You can find Sleepover & Co. on Instagram, Facebook or through their website! 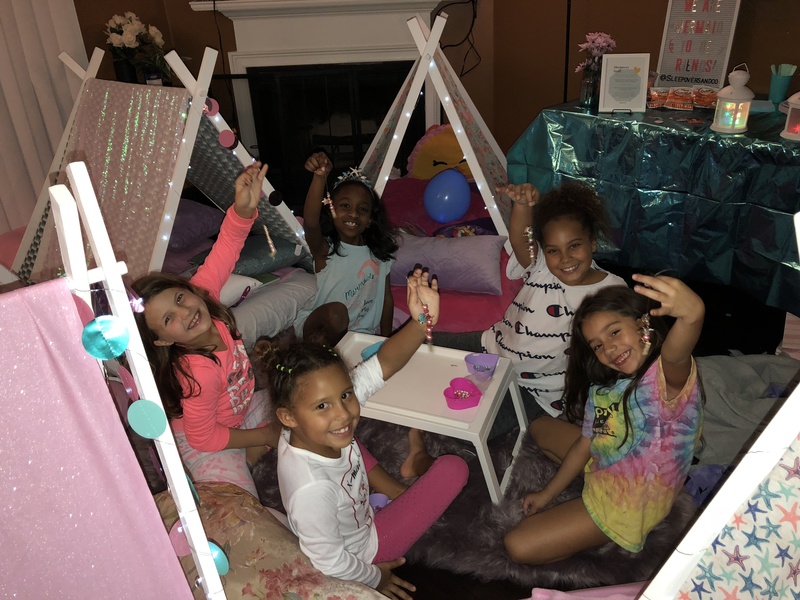 Book your next sleepover with them – I promise you won’t be disappointed!